Your RV has been tucked away during the cold weather, having been winterized months ago until Spring sprung again. Well, spring is here, so it’s time to get your RV out of storage and get it ready for all of your warm weather adventures. It takes more than just opening a couple windows and airing the place out. Our upholstery cleaning team in Casper has been helping Wyoming residents get their RV’s ready for hunting and camping season for years so we know what needs to go into “de-winterizing” your RV so you get the most out of it this summer. Check out some of these helpful hints! Inspect the inside and outside for signs of damage. Uncover your RV and take some time to slowly walk around the outside, giving the entire RV a good look and inspecting it for any signs of damage. When you are done, head inside and open up windows to start airing out the interior. While you do, take the time to look for new signs of any damage along the way. Rodents and pests love to make an RV their winter home, which can become an expensive and time-consuming project to get rid of them. Look for new cracks or holes in the siding or interior paneling, signs of chewed insulation or bedding, or feces. Don’t forget to open and close all of the slide outs and awnings on your RV as well, checking for issues with these areas. If you don’t spot any issues, now is the time to get them taken care of before you head out on your first summer outing. Waiting to put off repairs can result in issues becoming much more expensive to fix down the line, not to mention they could have the opportunity to ruin your next camping trip. Get the interior upholstery cleaned. It’s a good idea to have the interior of your RV professionally cleaned on an annual basis, and when you open it up for the summer is a good time to do so. A professional upholstery cleaner can clean the benches, seating, carpets, and even the mattresses inside the RV. This gives you a fresh start for the season. It’s a great way to get rid of allergens that may have been trapped in the RV from the previous season, too, helping those family members who suffer from allergies to sleep a little easier. Plus, if you’ve been an RV owner for long, you know how smelly they can get after being closed up for months at a time. The professional cleaning will take care of that and leave everything smelling great for that first trip. Once you’ve cleaned the inside and outside of the RV, it’s time to make sure that all systems are ready to go. That includes testing your electrical, water pumps, propane, and appliances. Test each system in turn and note any unusual smells or sounds during your tests. 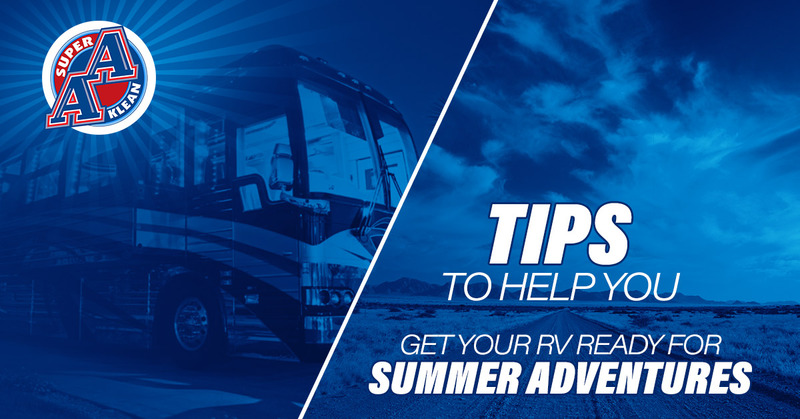 Some RVs take a little extra time to get up and running after they’ve been idle during the winter months; don’t panic if something doesn’t work perfectly right away. It may just need a little time to get going and running smoothly again. If you continue to have issues, though, make sure that they are checked out and repaired before you hit the road. You don’t want to be in the middle of a week-long camping trip only to discover that technical hiccup was more of a last gasp. Air pressure can vary greatly in hot and cold weather, so now that the winter months have passed, chances are those RV tires are going to need some air. Check your owner’s manual for the recommended tire pressure and get them filled. This is especially important before you hit the road for the first time! The right tire pressure is a matter of safety. It will also keep your tires in better condition for longer, so you won’t have to worry about paying to replace them as often. In no time at all you’ll be ready to hit the road for all of your great summer adventures! Need some help getting your RV ready for the road? 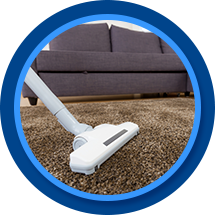 Get in touch with our upholstery cleaning team in Casper and make an appointment today.